It's time to get real about key ideas that run our lives, which have been taking laughable liberties with human nature – and with the logic of livable liberty. 1. Our way of life takes liberties with human nature. It uses Enlightenment ideas about reason which Samuel Hammond says psychologists know are “very unrealistic” (if not laughable). 2. Hammond’s essay on liberalism (=workable liberties sought by lefties and conservatives) makes many crucial points, but isn’t entirely realistic about reason’s role. 3. Key principles of workable liberty are discovered, not invented. For instance, Hammond says, church/state separation and multicultural religious toleration were discovered in 1590s India under Islamic rule. And in 1640s Europe after many wars. (Aside, the supposed “failure of multiculturalism”isn’t universal). 4. 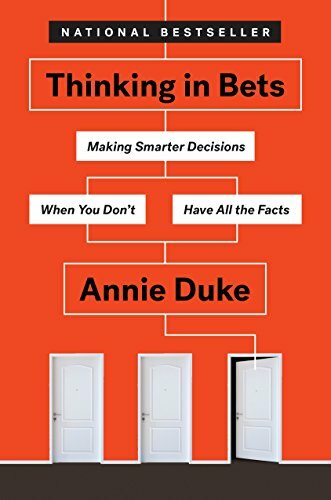 Certain behavioral rule patterns (like the Golden Rule, or property rights) are discoverable by any perspective-taking game-theoretic thinking. 5. Game theory enables “mathematical…ethics" with patterns as provable as geometry. And like geometry, game theory takes teaching (try rediscovering Euclid). But cooperation-preserving game theory matters far more than geometry. 7. “Experts play a vital role” says Hammond. Yes, but only if they’re properly motivated. If experts (or leaders) aren’t loyal to something above self-gain, like the public good, they’re buyable and unreliable (see Plato on greed-driven politics, + original idiocy). 8. Hammond feels that “reason can help establish… cooperative norms.” But they’re also established, transmitted and internalized emotionally (see paleo-economics). Social emotions evolved partly for cooperation, as did language (we’ve got evolved social cooperation rule processors, akin to our tacit grammar rule processors). 9. Darwin saw that in humans workable cooperative norms work like natural-moral selection. Your way of life discovers them, or it dies out (see needism, + negative telos). 10. Hammond advises “reason and persuasion, not fear-mongering or other emotive strategies.” But persuasion often requires emotion (see Aristotle’s rhetoric). The trick is to recruit emotions for “good,” not to ignore them (see Plato’s emotive Chariot, + facts versus fears). 11. Many besides psychologists know that the Enlightenment’s reason-reliance is laughably unrealistic. Only the unobservant or “experts” educated into “rationalist delusions” or “theory induced blindness” (like model-mesmerized economists) could believe otherwise. 13. But less realistic ideas won, and “Enlightenment errors,” though unempirical, still underpin democracy and economics. 14. Three unempirical “Enlightenment errors,” rationalism, individualism, and hedonism, are particularly seductive because they’re partly truth. However their elegant oversimplifications exclude much that matters. They’re typically empirically complex compositions hybridized with their opposites (emotional and relational rationality, self-deficient individualism, painstaking mattering and meaning-seeking). 15. No workable liberty can permit freedom to harm what your community depends on. Yet “logic” that pits self-interest against collective self-preservation lurks among the market-mesmerized.